Marriage is one of the most important life events in anyone's life. It's like starting the second innings of your life with your partner. Right from childhood, people get a notion that one day they are going to get married too. The bride and the bride groom try to be in their best look on this auspicious day. It is the birth right of the bride to be the most beautiful girl in the gathering and this is where perfect Bridal Make Up comes into play. The First and foremost important thing is to cleanse the face in-order to remove all the dirt and oil. It is always wise to choose the makeup kit from a reputed brand for the desired effects and also to avoid any kind of side effects on the skin. It is advisable to select make up to which you are not allergic. Find it out beforehand and also get the make up that suit your skin tone as it will enhance your beauty. Use waterproof mascara that will last for a long time and endure tears as well. It is important to keep your eyes in mind while applying make up. The makeup techniques for a regular set of eyes and a deep set of eyes are different. Perfect eye makeup increases the beauty of the bride manifold. 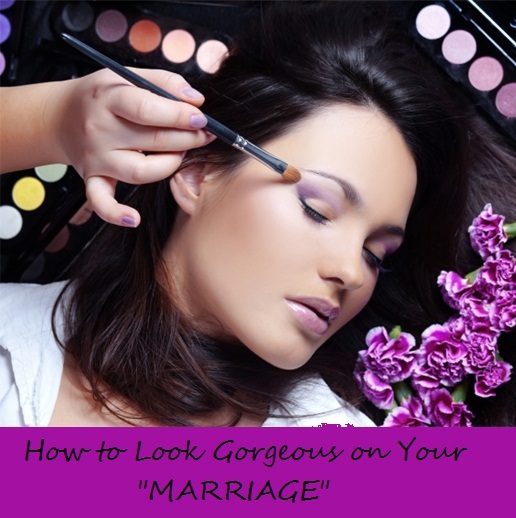 The makeup should match with the bridal attire that you will be donning. Hair is also an integral part of the makeup, so it's necessary to pay attention to them as well. Deep conditioning of your hair before the marriage will definitely make them look best on the D-day. Also use a good hair spray to keep them in place. Dark color lipsticks such as dark red and maroon will look good on bigger and fuller lips; likewise pink lipsticks will look good on a thinner pair of lips. Apply a lipstick that matches with your dress.Bridal Makeup is a part and parcel of marriages, but it is of significant importance in Indian Marriages. Indian Marriages are known for their grandeur and so the bride definitely deserves to be the princess of the day.